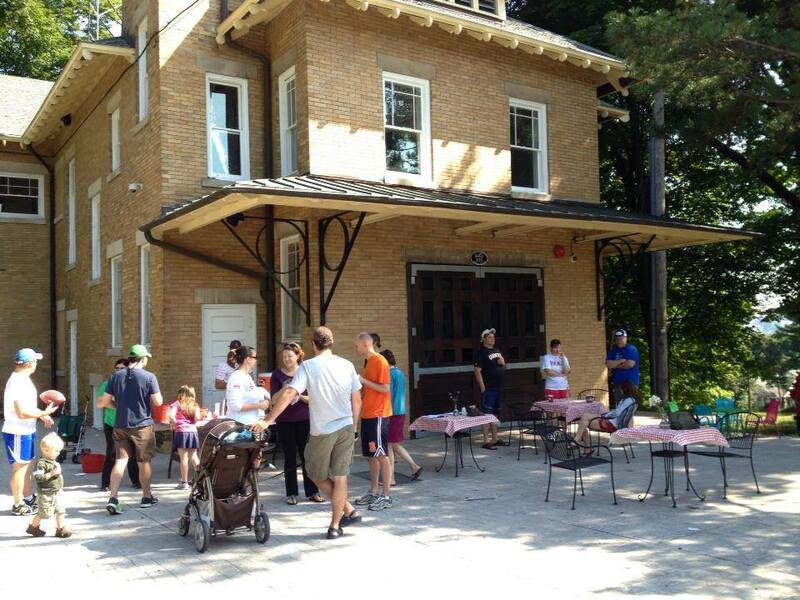 Resting on the highest point of Onondaga Park at its southern edge, the Elmwood Engine House, located in Onondaga Park and home to the Strathmore Speaker Series, was formerly known as City Capital Fire Station No. 21. Designed by architect Thurber J. Gillette (1856–1925), it was built in 1913 to serve the expanding surrounding neighborhoods. The overall plan and design details are representative of the Arts and Crafts style popular at the time of its construction. With its hipped roofs and window arrangements that reflect the homes of the surrounding neighborhood, the two-story, yellow brick building has a markedly residential character. Designed in an asymmetrical L-shape plan with a 20 by 24 ft. wing, the building is capped by low hipped roofs with projecting metal brackets. Its fenestration is marked by leaded-glass windows with cast stone lintels and sills. Early fire engines in the house were horse-drawn. An integral hose drying tower some four stories tall, anchors the design and originally was both an important functional and aesthetic element of the building. 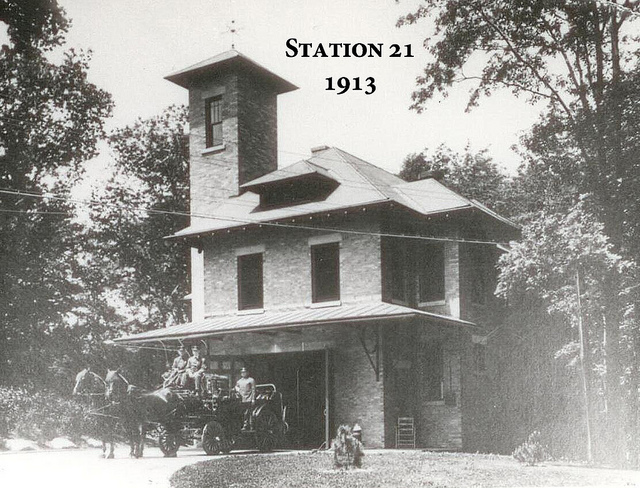 In addition to water and hoses, the station served as a combination company with chemical extinguishing equipment. 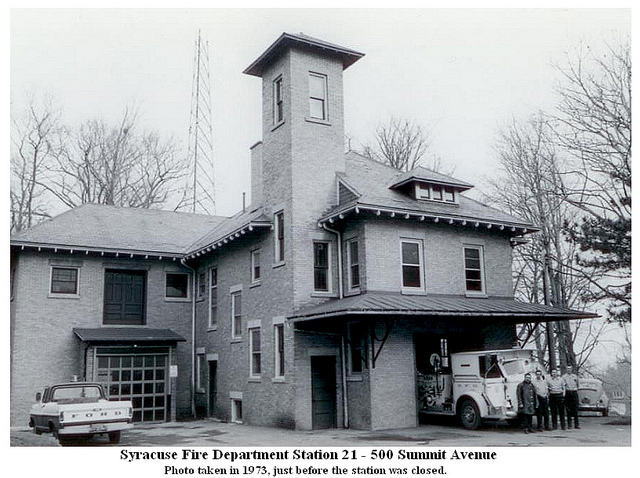 In January 1973, the fire department closed the building as part of a reorganization plan. Known as the “Onondaga Park Firebarn” to locals, the building remained vacant for over thirty years. Due to efforts of the Onondaga Park Association, SUNY College of Environmental Science and Forestry, former Congressman James T. Walsh, and the City of Syracuse, a series of federal grants were obtained and a completely refurbished Firebarn reopened in October 2012.